While it’s important to know the best tactics for data recovery, preventing the loss of data in the first place is vital. Consumers should engage in some best practices to ensure their data is protected. A first step is to simply handle storage devices carefully. For example, consumers can protect hard drives by handling them carefully, using high-quality surge protection, and managing temperatures and air flow so the computer or external HDD doesn’t overheat. Memory cards are notoriously fragile as every consumer that swaps out a SD card from a digital SLR can attest. These cards are very sensitive and don’t do well with heat, cold, liquids (no electronics do), or being dropped. You also need to watch out for the shag carpeting because static electricity can wipe out the card’s memory. Physically bending the cards happens frequently, so eject and handle with care. Data can also be protected by instituting automation into data backups. Individuals can setup automated external hard drive or cloud services to back up on a schedule. By establishing routine backups, consumers can ensure they will lose the bare minimum of data in the event of massive failures. Have a plan. Individuals should follow the lead of businesses by establishing a formal written disaster recovery plan. This can be as simple as setting a routine for data backup, or instituting multiple levels of redundancy such as cloud backups combined with external HDDs kept at a friend’s house. 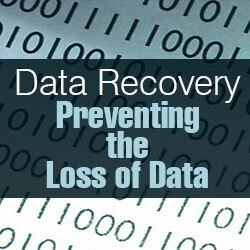 Establishing a plan will make data recovery simple and efficient. Go into the clouds, but use caution. Using cloud services is a great way to get off-premises backup, especially for large image and video files. The costs of cloud storage have plummeted, so think about using more than one service for redundancy. Consider storing financial information on password protected HDDs instead, as cloud services can possibly be exploited by hackers. Free isn’t always ideal. Bad things will happen, even to the most careful individuals. Most people will accidentally delete files or have a hard drive or USB failure. Once this happens, it’s important to find the right tool or company to help you. There are free file and data recovery utilities, but that’s a “get what you pay for” proposition. These services are often riddled with malware and don’t offer any level of support. 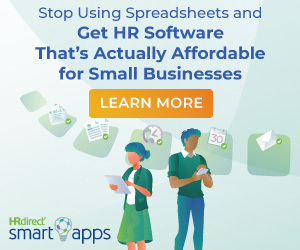 Find a reputable partner. Check with the manufacturer of your damaged device to see if they recommend any data recovery vendors. There are supported products available that can help you recover file information for 100 bucks or less. Choose a solution with a North American toll-free number and be confident you can received qualified help if needed. Hard drives are tricky. The complexity and expense rise when you need to recover data from a hard drive. It means the vendor uses special tools and a clean room in order to get the drive’s data without causing irreversible loss. There are only a few qualified hard drive recovery labs, so do your research and find a provider with good reviews that can work with many different manufacturer products. The fees for such services are steep ($1,500 to $3,000) but worth it if the data you are recovering is priceless, such as family photos or important financial records. David Zimmerman has been in the hardware/software industry for over 30 years, specifically in the data recovery software market for 18 years. During this period, he has been involved in the creation, marketing and support of the earlier drive recovery software products to enter the PC market and successfully marketed them both nationally and internationally. His company makes data recovery products for most of his competitors, as well as custom products for OEMs such as SanDisk, Corsair, Transcend and KrollOntrack. 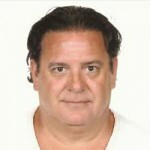 His experience in the market has made him uniquely familiar with the data recovery business. LC Technology International, Inc. (http://www.lc-tech.com) is a global leader in data recovery, file system utilities and data security technology. Clients include original equipment manufacturers, local, state and federal law enforcement agencies, corporate security specialists and IT consultants, among others. Available worldwide and published in more than 24 different languages, LC Technology products are available direct or through several major manufacturers of flash memory products. Founded in 1997, LC Technology is based in Clearwater, Florida.